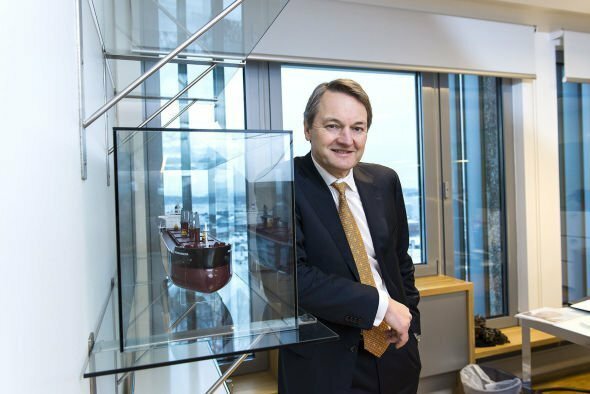 Oslo: There is something refreshingly humble and frank about Jens Ismar, the CEO of Western Bulk, a characteristic rather uncommon in the world of shipowning. Take, for instance, his most recent annual report, in which he admitted: “We got the market wrong.” Said wrong assumptions resulted in a $57m loss last year, something Ismar is desperate not to repeat, though he has already gone on record to warn 2015 will likely be another year in the red. The Oslo-listed dry bulk player is one of the top operators of supramax-sized vessels in the world and is the subject of our regular Friday shipowner profile. Ismar acknowledges the grim dry bulk market at present and admits the bad times might last for quite a while yet with plenty of pain to come. As previous head of shipbroker, Lorentzen & Stemoco, as well as a former director of chartering and operation with BW Gas, he is remaining conservative in fleet growth plans. “We are an asset light company and will not invest in assets the way we are structured today. This being said asset values are on the way down so it is still too early as of today to invest in tonnage,”Ismar elaborates. As a part of the ongoing ‘sharpening’ process, the company recently closed one desk shortly after opening another office. To stay on track WB Chartering is looking to capture short-term trends in the market with a new office in Miami targeting business in the US Gulf area. “Looking beyond 2015, we firmly believe we have the right ships at still attractive rates and optionality,” Ismar concludes.